The purpose of the JYN worksheet, is to help you surface and identify your stressful thoughts in ONE situation (like a photograph of a moment in time). If you just did The Work on a single belief, you will likely experience relief as you discover what's really true for you; however, your ego will attempt to pull you back into the story/belief from a different angle. Katie refers to this as "the underworld" (or supporting beliefs) overriding your new awareness. The JYN worksheet takes care of all of this. It will help you identify the main problem/belief from a specific situation, as well as the underworld (or thought family) that held it up, so your mind cannot easily return to a stressful reaction, when you've fully worked through those beliefs (which we'll do together). Your job: Identify your stressful thoughts about ONE MOMENT IN TIME. Just answer Questions 1-6. Our job together: I will facilitate you through the 4 Questions and Turnarounds. If you are new to The Work, I recommend watching the video below, as you write your worksheet. Katie walks you through writing a JYN worksheet. 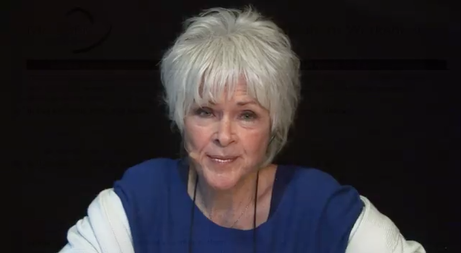 This Byron Katie video will walk you through writing a JYN worksheet, meditatively. STEP 1: I recommend watching this video all the way through, with the worksheet in front of you. Simply follow along (don't write yet). STEP 2: Watch it again, pausing the video as you fill in each question on your worksheet (paper or online). The Video opens in a new browser window/tab, so you can watch it while you fill in your worksheet. "Fill in the blanks below, writing about someone (dead or alive) you haven’t yet forgiven one hundred percent. Use short, simple sentences. Don’t censor yourself—try to fully experience the anger or pain as if the situation were occurring right now. Take this opportunity to express your judgments on "paper". step 1: Identify the stressful situation. Choose ONE moment in time (the moment you were emotionally triggered). Close your eyes and notice the image of that very moment, like a photograph. Refer to this image as you answer each of the 6 Questions of the JYN below. Notice where you you were when you had this thought about your body. Were you alone or were others around? Were you comparing yourself to someone, or worried about what others might think of you? Just notice. What time of day / year was it? Was there something special about this time? A recent event? If you are remembering something that happened in childhood, write from the perspective of that child. In this situation, time, and location, who angers, confuses, or disappoints you, and why? Example: I am angry with Paul because he doesn’t listen to me about his health. You can also phrase it like: "I don't like ____ because___"
In this situation, how do you want them to change? What do you want them to do? Example: I want Paul to see that he is wrong. I want him to stop smoking. I want him to stop lying about what he is doing to his health. I want him to see that he is killing himself. In this situation, what advice would you offer to them? Example: Paul should take a deep breath. He should calm down. He should see that his actions scare me and the children. He should know that being right is not worth another heart attack. In order for you to be happy in this situation, what do you need them to think, say, feel, or do? Example: I need Paul to hear me. I need him to take responsibility for his health. I need him to respect my opinions. What do you think of them in this situation? Make a list. What is it in or about this situation that you don't ever want to experience again? Example: I don’t ever want Paul to lie to me again. I don’t ever want to see him smoking and ruining his health again. Yes, I'd like some feedback. No feedback, thank you. Keep this JYN for our next session.